Morristown is a socially and ethnically diverse community offering a wide range of amenities to residents and visitors alike. 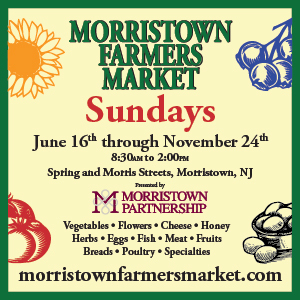 A state-designated regional center, Morristown is the County Seat of Morris County and the home of both Morristown Memorial Hospital with an array of cultural facilities. George Washington really did sleep here, for Morristown served as his headquarters for two different winter encampments during the Revolutionary War. Morristown became characterized as “the military capital of the American Revolution” because of its strategic role in the war for independence from Great Britain. The National Trust for Historic Preservation has named Morristown one of its Dozen Distinctive Destinations and much its history is visible in a variety of locations throughout the town. Morristown boasts a wide number of historic attractions and museums, as well as several institutions serving the Arts. 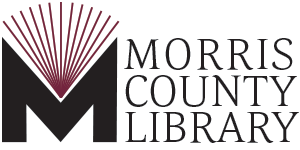 Although Library service began in Morris Township in 1792, since 1965 the Morristown & Morris Township Library has served as a Joint Free Public Library and a social and cultural center for both municipalities. Through generous efforts by philanthropist Grinnell Willis to build a Library building for our residents in 1917, the Library has grown to four times its original size while serving hundreds of thousands of patrons every year. Currently, our Library provides residents with reading materials, access to technology and continuing education, self-improvement, enjoyment and information. We achieve this by providing a location for the dissemination of state and local documents, New Jersey history sources and materials that will support Historic Preservation research. We are the keystone for our two communities providing reading materials and programming for children, Bookmobile service to organizations within each municipality, computer classes and technology help for adults and spaces to meet for our communities. With the Library Foundation, our Friends of the Library and our collaborations with neighboring organizations and Community groups, we act as a social anchor not only within Morristown and Morris Township but also regionally. The Morris County Tourism Bureau markets the county as a destination to business and leisure travelers and to residents. 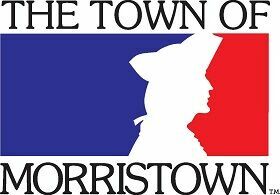 Working with its 250 members, they have a walk-in Visitors Center that is open Monday to Friday from 9 a.m. to 4 p.m. Their website, morristourism.org, is a comprehensive listing of the cultural, historical and recreational opportunities available in Morris County. 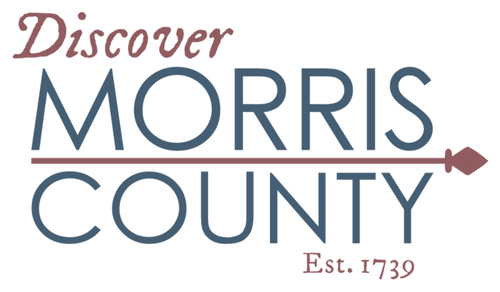 Contact the office to order a free copy of the official Morris County Visitors Guide. 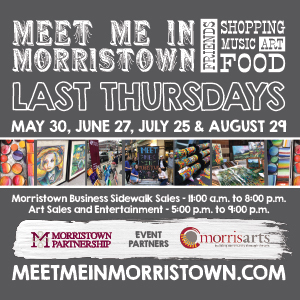 Their Calendar of Events webpage is a resource on all there is to see and do in Morris County. Sign up for their eNewletter which is sent two times per month with the top events in the county. The Tourism Bureau is supported by the Morris County Board of Chosen Freeholders and the New Jersey Department of Travel and Tourism, Department of State, and its members. SCORE Northwest NJ, based in Morristown, is a Chapter of the Washington DC SCORE national organization affiliated with the Small Business Administration (SBA). Our focus is mentoring and educating individuals who own or starting a small business. Volunteer mentors, both active and retired business men and women, provide clients with confidential, pro bono business mentoring at either their place of business or at one of our counseling centers in Morristown, Florham Park, Randolph and Newton. Mentors and representatives from the local business community offer regular scheduled, free or low-cost workshops and seminars that provide valuable information and techniques for entrepreneurs. For additional information about the Score Northwest NJ Chapter, or to schedule a mentoring session, please go to our website www.northwestnj.score.org. Morristown Medical Center, located in Morristown, NJ, is a nationally-ranked regional medical center and a recognized leader in cardiovascular medicine, orthopedics and nursing. Morristown Medical Center’s Gagnon Cardiovascular Institute performs more cardiac surgeries than any other hospital in New Jersey, placing its cardiac program in the top two percent in the country. The Atlantic Orthopedic Institute at Morristown Medical Center does the highest volume of joint and spine surgeries in New Jersey. In 2014, the hospital was re-designated a Magnet Hospital for Excellence in Nursing Service, the highest level of recognition by American Nurses Credentialing Center for facilities that provide acute care services, a distinction awarded to less than five percent of U.S. hospitals. Morristown Medical Center is certified as a Level I Regional Trauma Center by the American College of Surgeons, and designated a Level II Trauma Center by the state of New Jersey. Morristown Medical Center is part of Atlantic Health System, one of the leading non-profit health care systems in New Jersey.